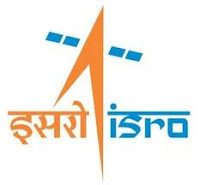 SDSC SHAR Recruitment 2018 – Apply Online for 25 Scientist/Engineer ‘SC’ Posts:- Satish Dhawan Space Center SHAR, Department of Space, Indian Space Research Organization (ISRO) has issued notification for the recruitment of 25 posts of Scientist/Engineer ‘SC’. Interested & eligible candidates can apply online through official website of SDSC SHAR. Online Application Process has started from 03/03/2018 and the last date for submission of online application is 23/03/2018. Medical Officer ‘SD’ : No upper age limit. For Scientist/Engineer ‘SC’ (Chemical Engineering) : B.E/B.Tech or equivalent qualification in Chemical Engineering. For Scientist/Engineer ‘SC’ (Quality Engineering and Management) : M.E/M.Tech or equivalent post graduate degree in Quality Engineering & Management. For Scientist/Engineer ‘SC’ (Thermal Engineering) : M.E/M.Tech or equivalent post graduate degree in Thermal Engineering. For Scientist/Engineer ‘SC’ (Machine Design) : M.E/M.Tech or equivalent post graduate degree in Machine Design. For Scientist/ Engineer ‘SC’ (Industrial Engineering) : M.E/M.Tech or equivalent post graduate degree in Industrial Engineering in First class. For Scientist/ Engineer ‘SC’ (Industrial Safety) : M.E/M.Tech or equivalent post graduate degree in Industrial Safety in First class. 07. Scientist/ Engineer ‘SC’ (Structural Engineering) : M.E/M.Tech or equivalent post graduate degree in Structural Engineering in First class. 08. Scientist/ Engineer ‘SC’ (M.Sc. Organic/ Analytical Chemistry) : M.Sc. Organic/Analytical Chemistry in First class with an aggregate minimum of 65 % of marks. 09. Scientist/Engineer ‘SC’ (Chemical Engineering) : M.E/M.Tech or equivalent post graduate degree in Chemical Engineering in First class. 10. Medical Officer ‘SC ’ (Orthopaedics)/Medical Officer ‘SD’ (Orthopaedics) : M.B.B.S + Diploma in Orthop a edics (Two years duration) recognized and registered with Medical Council of India. / M.B.B.S + M.D/ DNB in Orthop a edics recognized and registered with Medical Council of India. Commencement of Online Application : 03/03/2018. How to Apply: Interested & Eligible Candidates can apply online through http://sdsc.shar.gov.in from 03rd March 2018 to 23rd March 2018. Subscribe our Free Job Alert Mail Service for SDSC SHAR Recruitment 2018.